It is officially summer in NYC! If 80 degree weather doesn't indicate that it's summer, then a BBQ festival definitely screams summer! 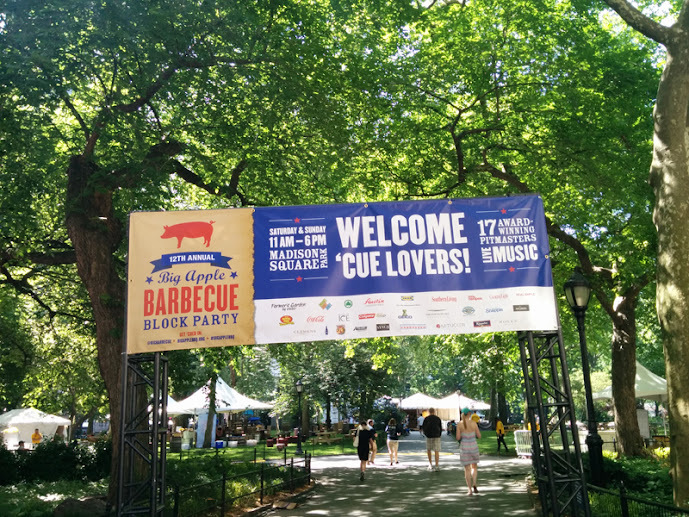 Every year for 12 years now, on a Saturday and Sunday in June, the Big Apple BBQ Block Party happens in Madison Square Park. 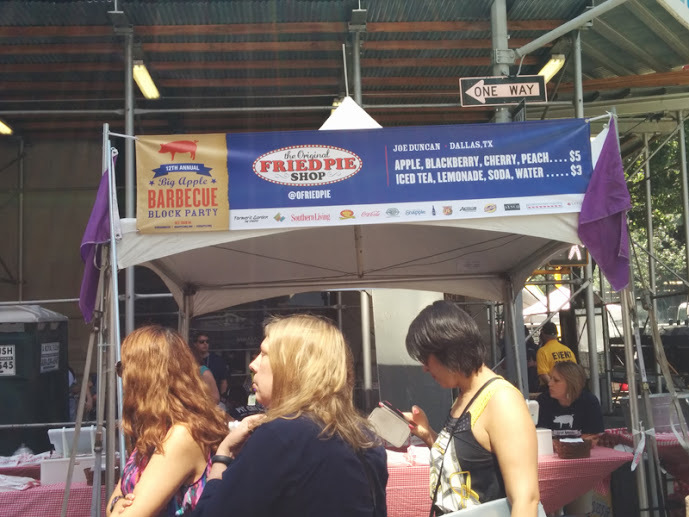 Pitmasters from all around the country participate in the two-day affair while New Yorkers get to enjoy some delicious grilled & smoked masterpieces. 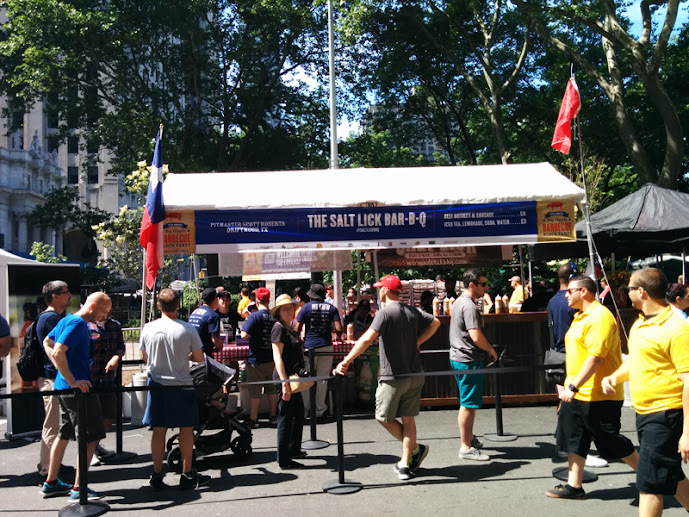 If you're thinking about going to the Big Apple BBQ Block Party, keep in mind it gets extremely crowded. Lines can get a block long for some stalls. It officially starts at 11am, but I went with a group of 6 and we all arrived around 10.30am to start lining up. When it hit a little past 11am, the lines for the most popular stalls already doubled in size. Luckily my friends and I divided and conquered so we were able to get everything we wanted by 11.15, and even nabbed a picnic bench in the outdoor beer garden. My recommendation is to go with a group of friends so you don't have to wait in many lines. However, if you can't gather a group of friends to go, you could also get the fast-pass. BUT even the fast pass lines were very long!! Thus, the saying "the early bird gets the worm" reigns supreme in this case! Ubon's pulled pork had Asian inspired flavors in their BBQ. Big Bob's stall was one of the stalls that had the longest lines. We didn't get anything from the Salt Lick BBQ, but the line was already very long by 11am! The infamous fried pie stall. It was the only dessert stall in the festival and by the time we were done with our food the line was a block long. The smokers at Ed Mitchell's - 8 smokers strong!! Ed Mitchell's vinegar flavored pulled pork. Our haul - it just happened we got all pulled pork sandwiches but it wasn't on purpose! Each stall only sells one item, but there were some places offering beef ribs, pork ribs, pork shoulder, and brisket. 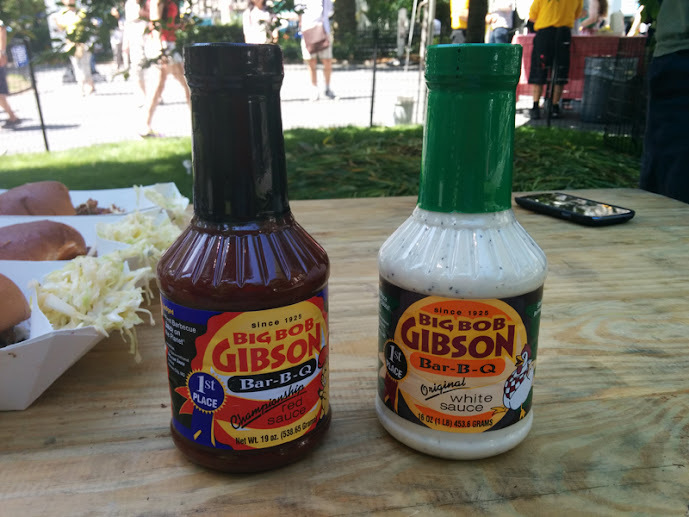 My friend purchased Gibson's famous red & white sauce. Bonus!! Tucked away from the heart of the festival was some rare Pappy van Winkle bourbon! My friend is a bourbon enthusiast, and he said it's widely regarded as one of the best bourbons but it's nearly impossible to find. Like every NYC festival or outdoor event, it gets really really crowded. Unless you're able to get there early like we did, prepare to wait in astronomically long lines. If you're not able to get there early, do I think it's worth it to wait in line for the food we got? Personally no. 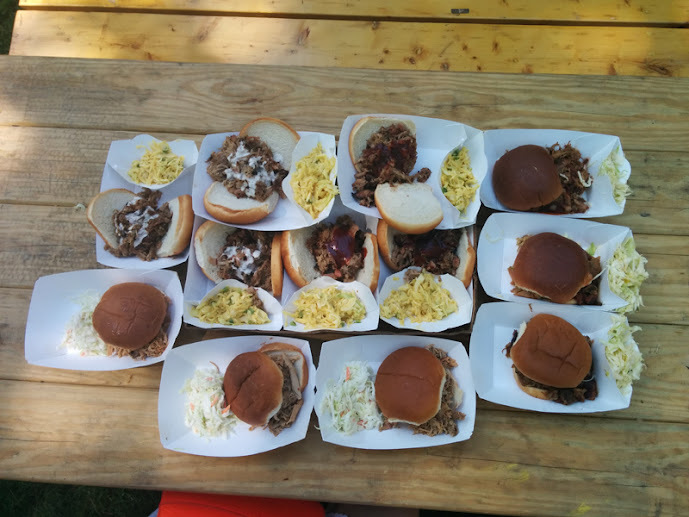 However, if you really love BBQ and would like to taste how each region does their BBQ differently, then it might be worth it. If you can't go with a group of friends, the fast-pass which lets you cut the general line might be a good option. It is expensive at $125 for a fast pass however ($125 gets you a fast pass for two people, and includes a redeemable food voucher worth $100, making the total cost of the fast pass at $62.50 per person) Overall, our trip here was successful and I enjoyed our inadvertent pulled pork sandwich feast.